In September 2011, Robert Pennicott’s “Follow the Yellow Boat Road” expedition, a circumnavigation of Australia for polio eradication and conservation, visited St Helens. Robert, fellow skipper Mick Souter and cameraman Zorro Gamarnik took part in this journey, the first-ever circumnavigation of Australia and Tasmania in an outboard-driven boat. 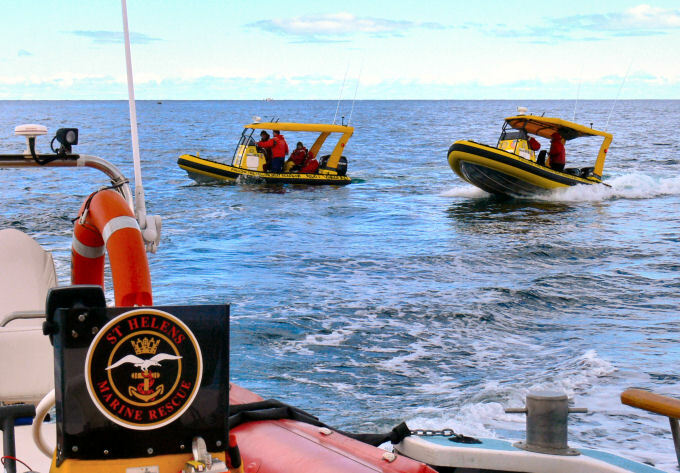 They departed Sydney on the 2 June 2011 and travelled anti-clockwise around the entire coast of Australia in two 5.4m Naiad RIBs (18ft dinghies). They are expected back in Sydney around 11 September 2011. Their trip was divided into 77 segments, ranging from 60 to 420 miles. On 48 of the segments, two seats were auctioned to the highest bidder to raise funds for polio eradication and conservation.